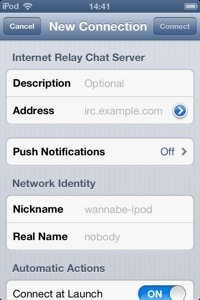 This is a walk through on how to set up the IRC client colloquy on your iOS device. Click on edit connections (you’ll see my current connections in the image). In description put what type of server. If it is nerdfighters, put dftba. 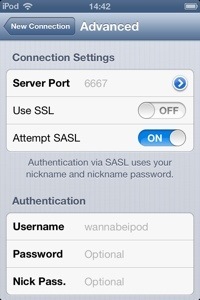 Real name can be your real name, or admin, or nobody, or whatever. Keep push notifications on, and connect at launch on. Join rooms – we’ll get there. 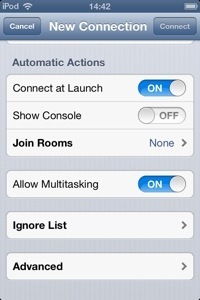 Allow multi-tasking – allows you to let the app run in the background for up to 10 min while you are in another app. Advanced – we’ll get there. This is what you get when you tap join rooms. Click add room. 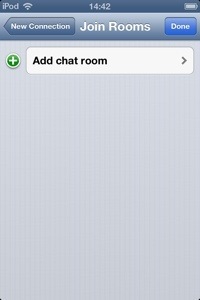 Chat room – room name. Don’t forget the #! 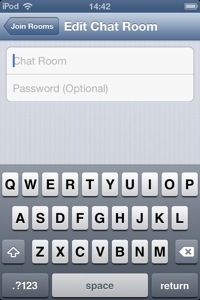 Password – some rooms have one. Advanced: server port info should be fine. 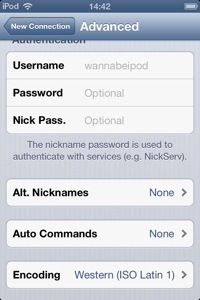 Under nick pass you should put your password if you are registered with nickserv. Alt nick names – only if you have them. Then go out of each window, saving progress. At the bottom of that image you’ll see bubbles with a word under it – tap there, you’ll see your rooms. ← Your Purity Does Not Concern Me: So What If The Definition of Bi is the Same as Your Definition of Pan.